Get the best Wimbledon Betting offers at Offersville this year. Bet365 Sports have a great selection of markets in online tennis betting and are of course taking bets on outright winners at Wimbledon Betting 2017 in all competitions. 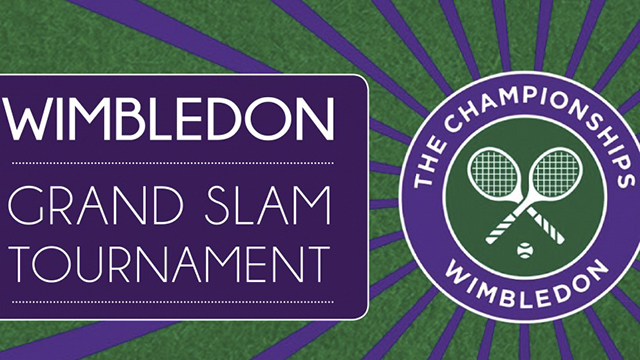 You can also place in-play tennis bets during each match, and watch live streaming Wimbledon matches from SW16 throughout the fortnight. Play begins at this year’s Wimbledon Championships on Monday 3rd July and the Men’s Singles tournament is looking as tight as ever. Wimbledon seeding is announced on Wednesday 28th June. As far as bets go, for many pundits and punters it’s hard to look past the Murray, Federer, Nadal, Djockovic group when predicting a winner. Amazingly, one of these four men have won the Men’s competition in each of the last 15 years. The last man to win whose name wasn’t in that short list was Leyton Hewitt in 2002. Last year’s winner, Brit, Andy Murray (30), will be looking to match Fred Perry’s achievement of three titles. He was successful here last year but since becoming World Number 1 in December 2016 has not had an easy ride, and recently was knocked out in the first round of the Queen’s Tournament by Aussie, Jordan Thompson. Murray says this will not put him off though and reckons he will have had enough court time by the time the fortnight begins. For many the greatest of all time, can Roger Federer (35) win an eighth Wimbledon title and nineteenth grand slam? Well, according to many bookies he can as he has been installed as favourite for this year’s title. Like Murray, Federer hasn’t had a perfect run-in, losing to 39-year old Tommy Haas on grass at the Stuttgart Open in June. However, you can be sure Federer been saving his best for Wimbledon, and he’ll almost certainly be there at the business end of the competition. ‘King of Clay’ Rafa Nadal (31) has just one his tenth French Open title in Paris. He has taken the Wimbledon title twice and competed in five finals, but has concerns about fitness this year, with his knees giving him troubles. Nevertheless, he is still there as 3rd favourite and it goes without saying he will be an extremely tough competitor for anyone to face. A good bet for at least the semi-finals. Novak Djockovic (30) will be seeded number two this year, despite his world ranking slipping from second to fourth after being knocked out in the Quarter Finals at Roland Garos in early June. In an attempt to turn around a prolonged poor run of form which has got some pundits questioning the Serb’s hunger, he recently accepted a wild card entry to the Aegon International in Eastbourne beginning Monday 26th June to help prepare for the Wimbledon fortnight. This is the first time in his career that he has opted to follow this route, previously arriving fresh on the courts of SW16 in preparation. Will it be enough to bring a much-needed return to form though? Time will tell us. Outside the four favourites, is anyone good enough to take the title? Well, if you’re looking to place a bet on tennis at odds of greater than 6/1 then you may want to take a look at Stan Warinka (32) who has won each of the other three Grand Slams Australia (2014), French (2015), US Open (2016). Another player who has not had a great warm up, losing in the first round of Queens to Spain’s Feliciano Lopes. Nevertheless, he is a good player who has had good run in the later stages of his career and will carry a threat to the top 4. Meanwhile, another contender for at least a Quarter Final place is Croatian, Marin Cilic, the 2014 US Open Title Champion. Sitting just behind the worlds top 5 ranked players and with his sites set on breaking into that elite group, Cilic reckons he is hitting form at just the right time. He has just made it through to the Semis at Queens. Can he repeat the feat in Wimbledon? Maybe, and there’s no doubting his confidence. Chose from the best online sports betting offers this year in our listings of the latest welcome bonuses including free bets, insurance and cash back.